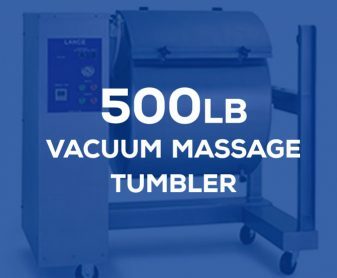 Lance Industries’ USDA approved vacuum massage tumblers are used by meat processors, meat markets, grocery stores, restaurants & more throughout the world to add value to their meat, fish and seafood products. 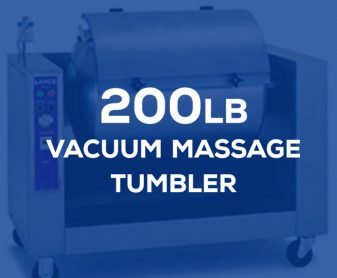 With the combination of a vacuum pump and variable speed, massage tumbling infuses cure, adds water & weight, and intensifies flavor & taste in meat products. 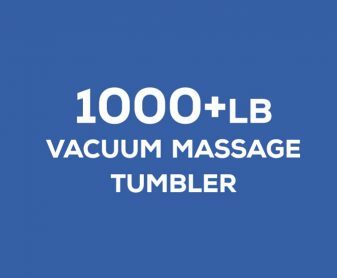 All our vacuum massage tumblers feature 100% stainless steel construction and heavy-duty removable gaskets. The durable construction is accompanied by a front mounted variable speed control and a front mounted electronic tumbling timer with the option of an intermittent timer on select models. Our meat tumblers also allow for vacuum tumbling via vacuum pumps located inside the cabinet with easy accessible liquid traps to protect the pump. All of these components are standard when it comes to Lance Industries’ tumblers. 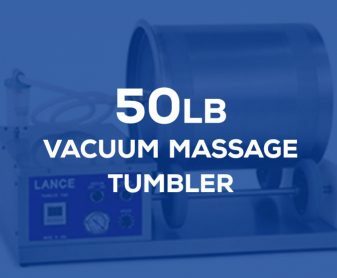 We produce four vacuum massage tumblers with handling capacities from 50 lbs (22.7 kg) in the LT-5 Vacuum Massage Tumbler, 200 lbs (90.7 kg) in the LT-15 Vacuum Massage Tumbler, 500 lbs (226.8 kg) in the LT-30 Vacuum Massage Tumbler, to 1000 lbs (453.6 kg) in the LT-60 Vacuum Massage Tumbler. We also offer a 20-gallon shrink tank, the LST-20. 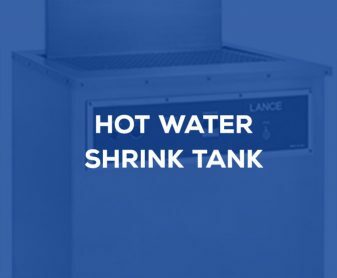 The shrink tank features 100% stainless steel construction, an electronically heated water tank, adjustable dipping cycle, and an insulated tank to prevent heat loss. 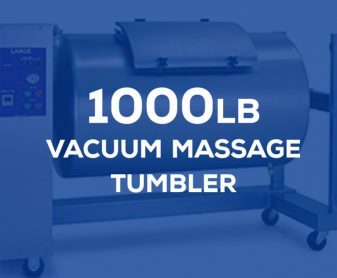 If you’re looking for a reliable product at a competitive price, please call us at (262) 239-7424 or email us to learn more about our massage tumblers and get a quote!